﻿ Concept Living Munich Munich. JIMAT di Agoda.com! Ada soalan mengenai Concept Living Munich? Diubahsuai pada tahun 2014, Concept Living Munich memberi jaminan kepada tetamu penginapan yang menyeronokkan di Munich sama ada untuk perniagaan atau berseronok. Dari sini, tetamu boleh menikmati akses mudah kepada semua yang bandar meriah ini boleh tawarkan. Juga terletak berdekatan adalah Il Ghiottone Weine Et Cetera, Kedutaan Korea Selatan, RIVIERA106. Kemudahan dan perkhidmatan yang disediakan oleh Concept Living Munich memastikan penginapan yang menyenangkan bagi para tetamu. Wi-Fi percuma semua bilik, Wi-Fi di tempat awam, tempat letak kereta, bilik keluarga, khidmat dobi merupakan beberapa kemudahan yang membezakan Concept Living Munich daripada hotel-hotel lain di bandar. Concept Living Munich mengandungi 100 bilik yang dihias indah dan menawarkan televisyen skrin rata, pemanas, meja, beranda/teres, langsir gelap. Di samping itu, pihak hotel menawarkan aktiviti rekreasi untuk memastikan anda mempunyai perkara untuk dilakukan sepanjang penginapan anda. Kemudahan yang hebat dan lokasi yang sangat baik membuatkan Concept Living Munich menjadi asas yang sempurna untuk menikmati penginapan anda di Munich. Kaunter pendaftaran dibuka dari Isnin hingga Jumaat dari 08:00 AM hingga 05:00 PM. Pada hari Sabtu, Ahad dan cuti rasmi dari 10:00 AM hingga 12:00 PM. Sila hubungi pihak hotel untuk maklumat lanjut. - Tempat letak kenderaan awam disediakan di hotel. - Tempat letak kenderaan bawah tanah disediakan dalam jumlah terhad dan boleh ditempah dengan caj tambahan 3 hari sebelum ketibaan. - Ketinggian maksimum kenderaan yang masuk adalah 1.9 meter. Peranti elektronik yang dibawa dan dimiliki tetamu mesti mematuhi piawaian keselamatan dan boleh digunakan dengan berhati-hati. Untuk tujuan keselamatan juga, kunci ke-2 pangsapuri mesti dialihkan dari panel elektronik di dalam pangsapuri. Perkhidmatan sarapan (penghantaran bakul sarapan ke pangsapuri pada waktu pagi) perlu ditempah sekurang-kurangnya 3 hari sebelum ketibaan. Bagi tempahan melebihi 1 pangsapuri, tetamu diminta menghubungi pihak penginapan sebelum tiba. Maklumat perhubungan boleh didapati dalam pengesahan tempahan. Tetamu juga akan menerima e-mel pengesahan berasingan dengan kod daftar masuk untuk setiap pangsapuri. There was a flight of stairs to the entrance of the building which made it non convenient for people with luggage. Inside the building itself, I didn't see any elevators as well. The room is bigger neat and bigger than I imagined, but the showering space was small. The staff were nice and patient with my requests as well. The room with small kitchenette was immaculate and fully equipped with everything (except a regular oven, but includes a microwave. Great location, responsive staff and housekeeping. Trams and U-Bahn close by. Even provided a fan during the heat wave -- especially appreciated, as we were on the top floor! Accommodated our request for next-to-each-other rooms for ourselves and our 83-year old mother. Wish there were more places like this everywhere!!! I picked this place because it was close to office I was visiting in Munich. It costed 151 USD per night. That was definitely not worth. No service. No breakfast included in this. I stayed in many serviced apartments, while working in Asia. This is not like this. Nobody came to replace towels nor clean the room. For 151 USD a night: no thanks. Never again. This place should be around 50 USD a night to be interesting to stay. Everything was good. Good furnished and cosy apartment сontain everything necessary for a comfortable and pleasant stay. Just at the kitchen you couldn't find salt, sugar and coffee. We didn't found out supermaket nearby but perhaps of the xmas time everything was closed. But there are some bars and cafeteria. A bit far to walk to the tram stop for center, but in pleasant weather it was no problem. It is a pity that the hotel cannot be paid for upon arrival. Apartment was bigger than I expected. It was clean and tastefully decorated. Kitchen was well equipped with utensils, flatware, plates, kettle, microwave and stove for some simple cooking. 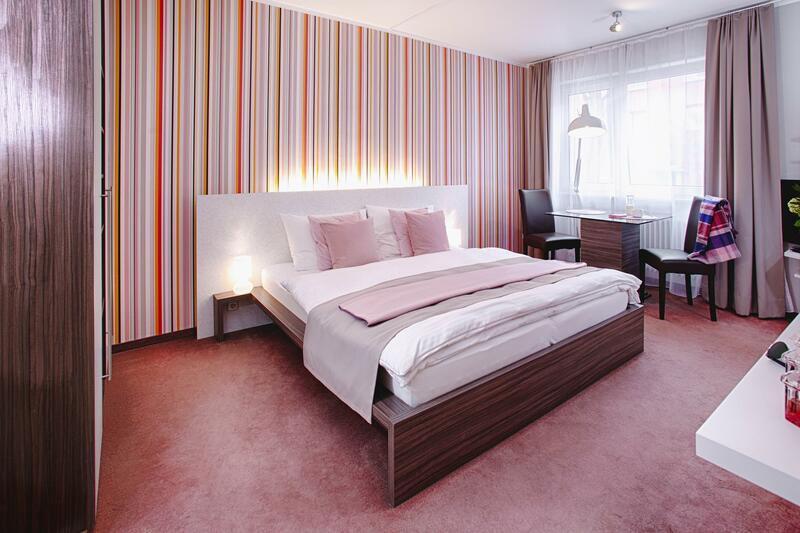 Location is great, only a short walk to U2 and S station and close to REWE supermarkt. I feel that there is a lot of improvement to be done. Firstly, the kitchenette is not well equipped as here was no ladle for scooping of soup, not spatula for frying of eggs and other food stuff. Secondly, there were only one set of toiletries when we have 4 person checking in to the room although 4 sets of towels were prepared. Third, there should be at least one cleaning service included during our stay as the room got pretty messed up after 2-3 nights, especially the toilet. Parking is not a problem around that area and once you settle down there, you may consider to take the train to city center as the train station is just 5 mins walk & 20 mins by train to Marian Place (with huge supermarket there as well) Self-cooking there is enjoyable with fully equipped kitchen ware and the extra large size of dish washing machine will encourage you to do so. Only one disadvantage is our apartment is located at the basement and do not have lift access, so if you are traveling with massive luggage, strong request to avoid those apartments at basement floor. Staffs are friendly and helpful, all the hardware of the apartment are in good conditions. Our apartment was just want we needed; clean, comfortable and the kitchenette had all the amenities we required. This saved us a lot of money from paying for expensive breakfasts. Everything worked in our room. We requested an extra night's stay and the staff arranged this without fuss and at a reasonable price. Great Service. 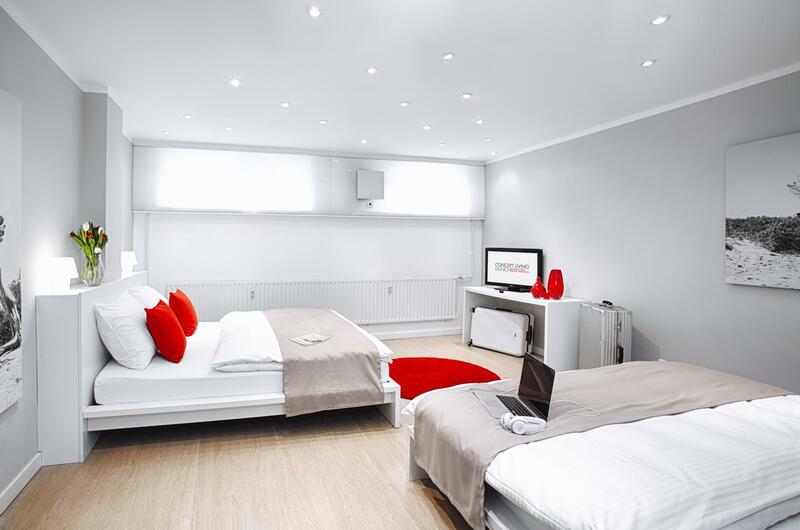 centrally located, easy access by public transport and apartment is so comfortable. I stayed for 3 days. I reached on Saturday 3pm and the hotel staff was there when I arrived. Check in process is very smooth. Public transport accessible near to the hotel to ostbanhoff station. It's located at neighborhood area and really feels like a home I booked studio apartment which has kitchenette as well. I will definitely stay here again if I visit munich amd will recommend to my fren too. It was a bad experience for me that I was almost not able to get the key and stayed there at the first night. I arrived around 8:30 pm and Staff were all off work. I tried to call the contact number above the key box (you can get your key if you press a right security code) but the hotline person could not speak in English but only speak in German. There is no information to tell you upon your reservation that you have to arrive earlier or you need to call to get a security code. And most importantly the hotline person cannot understand English. Luckily, I met a Italian man who got the same experience as me last night and he was willing to help me to call the hotline. At the night before I left another group of youngsters got the same problem as they arrived late. Although, the room is tidy and clean and the location is pretty close to Munich, the service is not good. We drove a car and we had to park our car around the public area. There was a underground garage but it is chargeable and it was dark and narrow. If you are going to stay in this hotel and you don't have a german phone and you cannot speak german, I would recommend you to arrive earlier. Moreover, you better take subway cuz your car has to park in public area and those place around have already full occupied with cars. This place is spotless and reasonable in size with a useful but small kitchen. WiFi is very good but the Internet access behind it was slow at peak times showing a lack of capacity. Biggest issue we had was no air conditioning. Still it's well located a 5 minute walk from the metro. great location and very good value for money. spacious and clean room. quite peacful and nice area which is close to the center. Kitchen was great. No daily housekeeping, but otherwise clean spacious rooms. Okay so, we paid alot to stay here over Oktoberfest and considering the prices of other places this was pretty good. HOWEVER you are far out of the centre, in a residential area but the Uban is quite close so it's relatively easy to get around (and there is uber of course). Beds are comfortable, bathroom, kitchen are all good. Staff were pleasant. Didn't like the fact you had to take out your own rubbish. Its a very "self service" , independent place, with no fun vibes about it so it really depends what you're looking for. I would recommend it if you want to go to Oktoberfest and are with others then want to explore munich - for a short stay only. If you want to really explore munich or are a solo traveler I wouldn't recommend it.